El Yunque is a rainforest near to San Juan. It’s not that close, because once you get there, then you have to go a bit further up the reserve, the roads twisting and turning like switchbacks. That’s normal in PR. The roads in the mountains are just built like that. For me, it was like those tea cup rides at state fairs, whipping around corners, not sure if my body was going to stay in the car or not. I loved it. It was sad when we came because the top of the forest looked like it had been shaved with a giant razor, and it pretty much had. All the lush was gone. It was still there, but the sun came through areas it didn’t used to before. 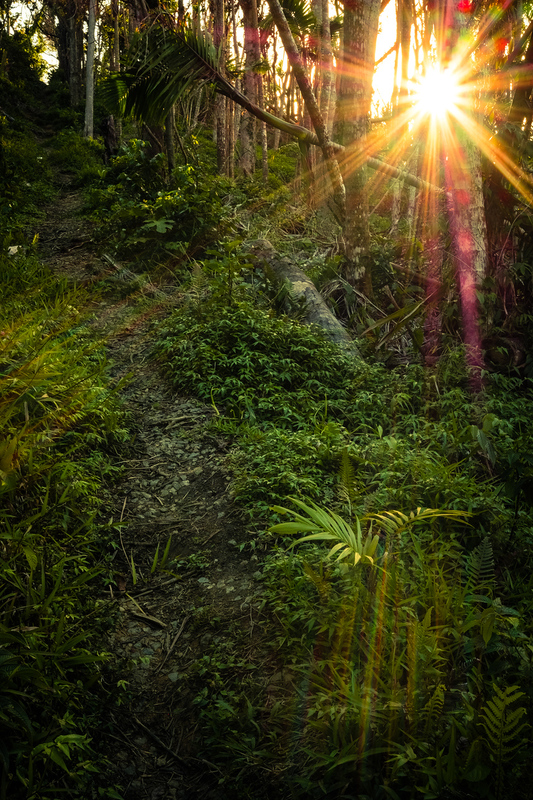 Hiking through the El Toro path in El Yunque was still beautiful though. It took getting directions to get here, definitely not the place to depend on GPS, you have to ask people because we went on the backside of the reserve, not the popular way to go up, but the other way was closed. The mosquitos didn’t bother at all. NOT like New England where they are bloodthirsty and crusading to find any open skin or even skin covered by clothes, they don’t care, they will get through. Here, nothing like that. The mosquitos on the island are friendly. You don’t even notice them. They leave their bite without any pricks or anything. They don’t get in your face much, which is something the New England mosquitos love to do, they love the face for some reason. I could live there, there with the friendly mosquitos. We can sit around the fire at night and have Medallas (a local PR beer).